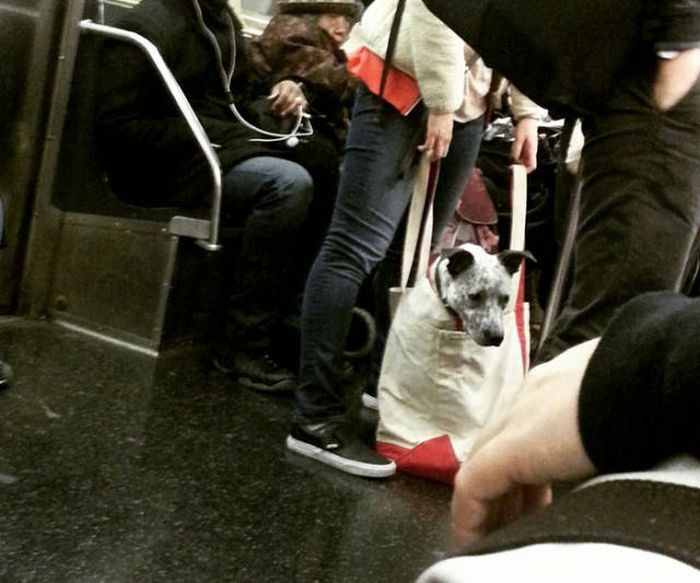 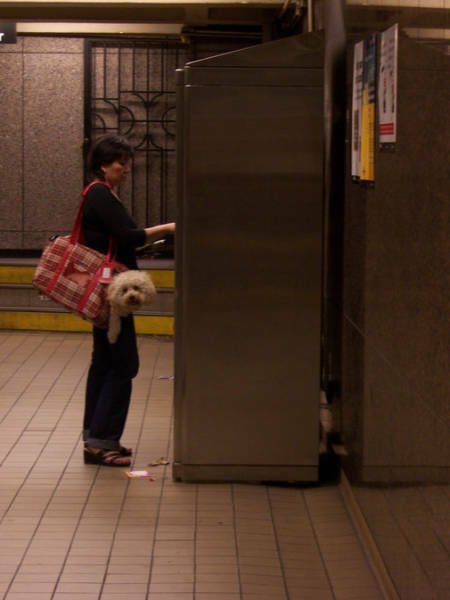 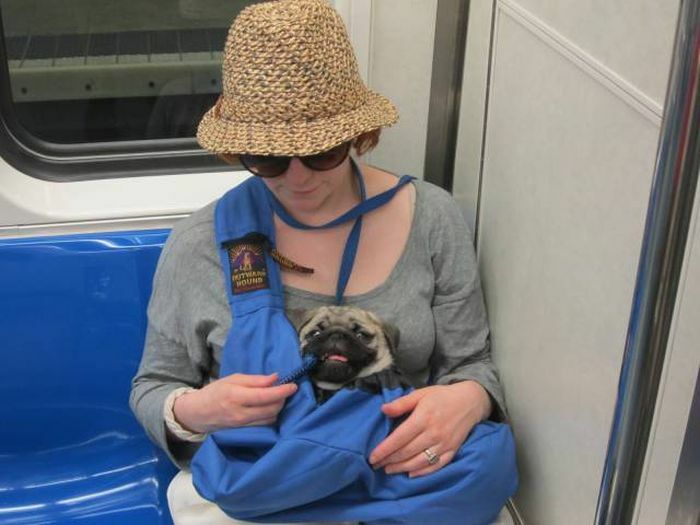 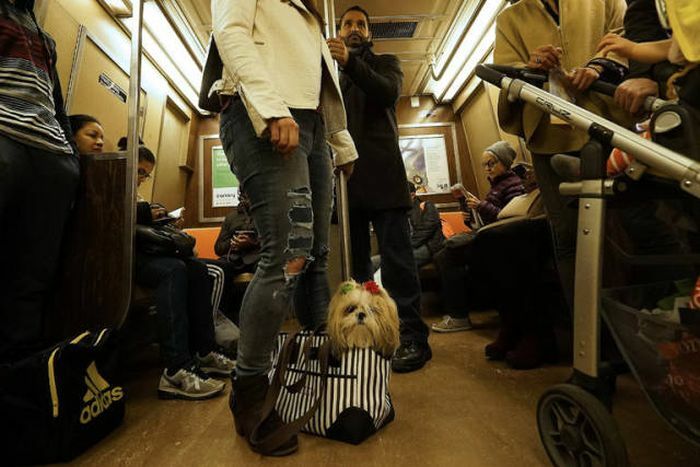 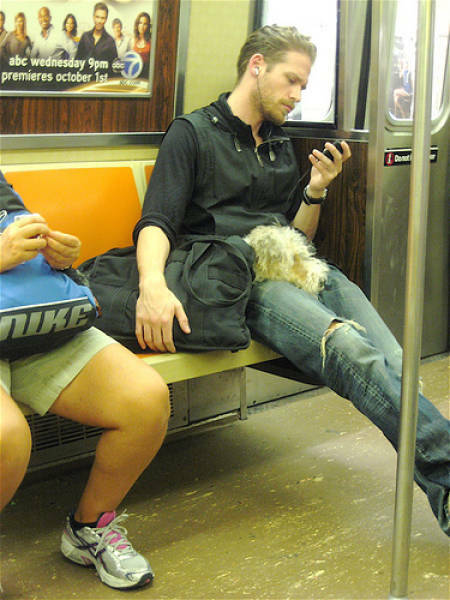 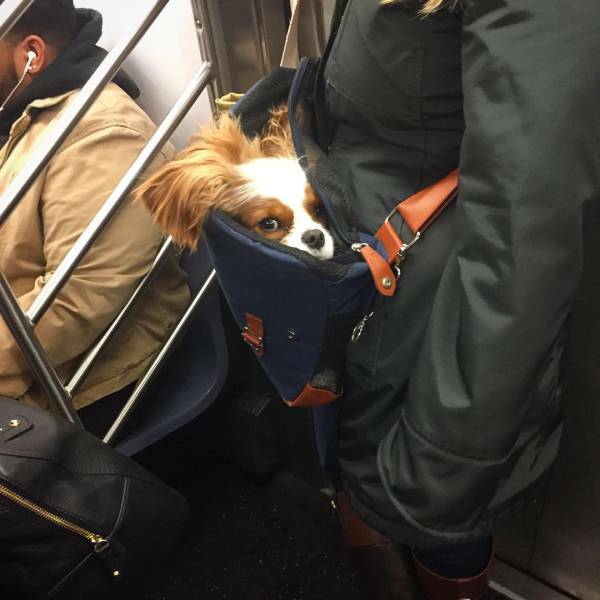 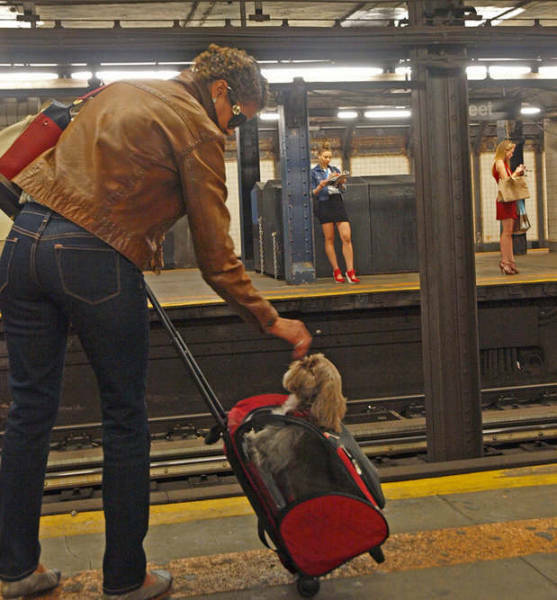 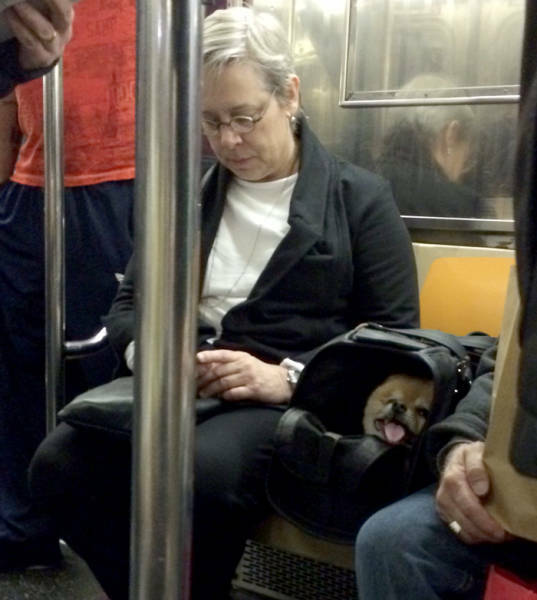 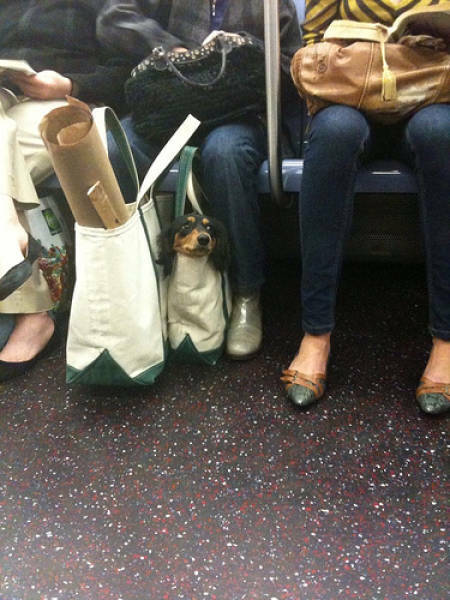 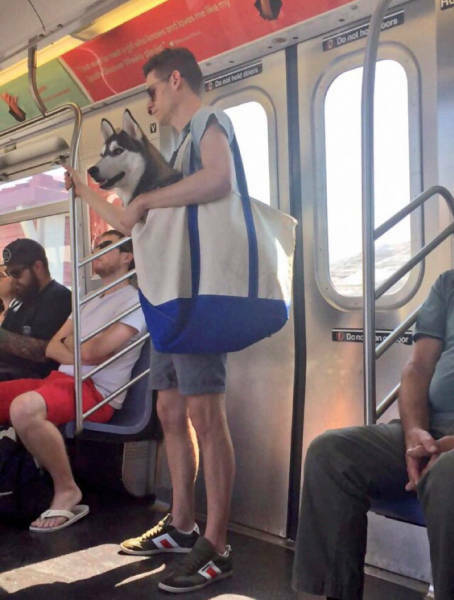 The New York subways have a policy that states if you want to bring a pet on the train they need to be “enclosed in a container." 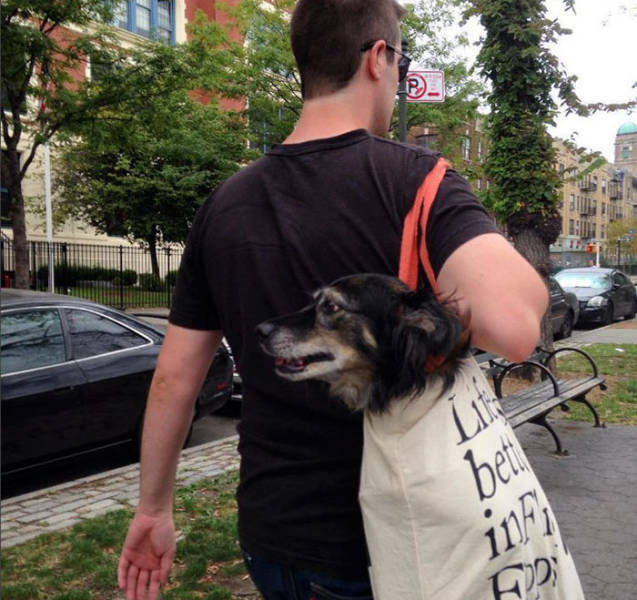 These pet owners are bending the rules a little bit, but they certainly aren't breaking them. 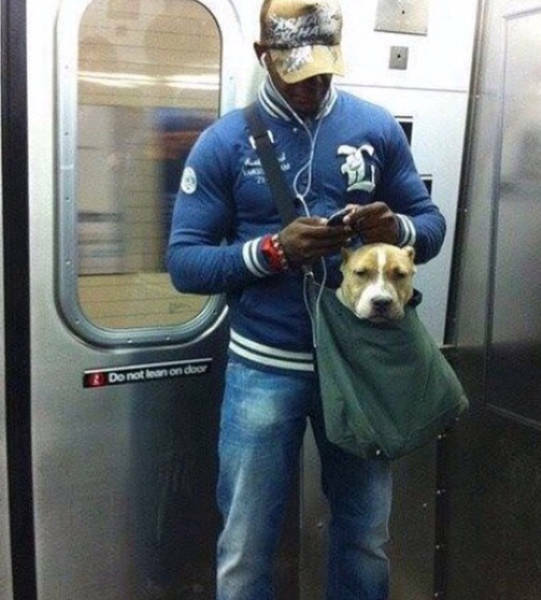 The rule is not silly. 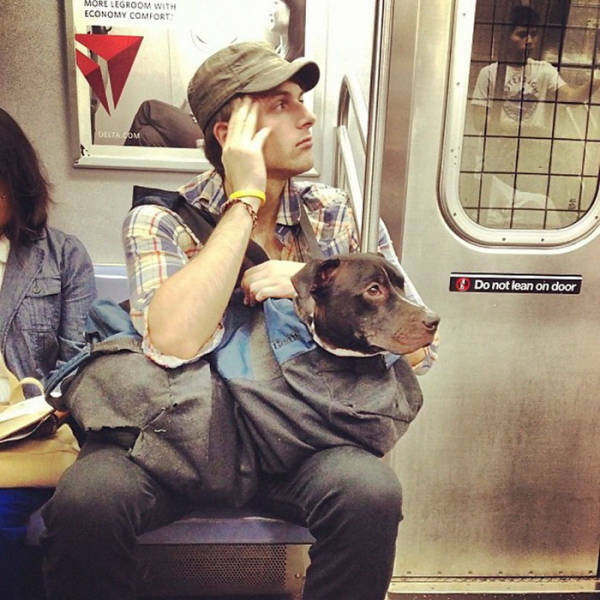 Some pet owners are careless. 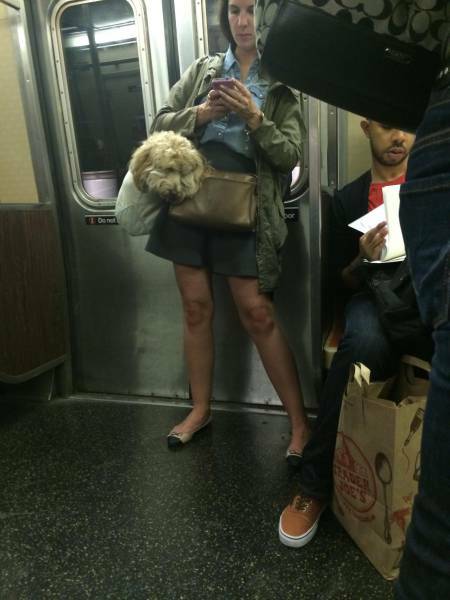 Some people are rightfully afraid of strange dogs. 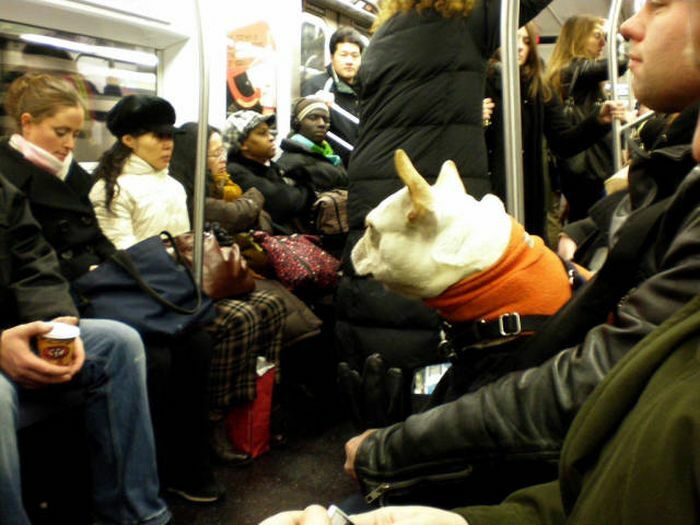 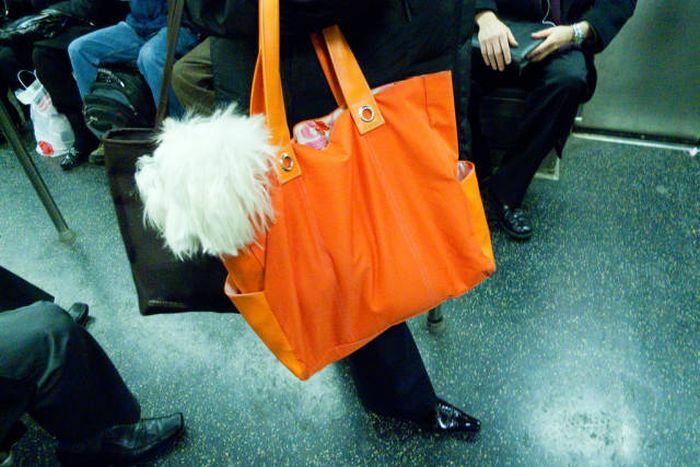 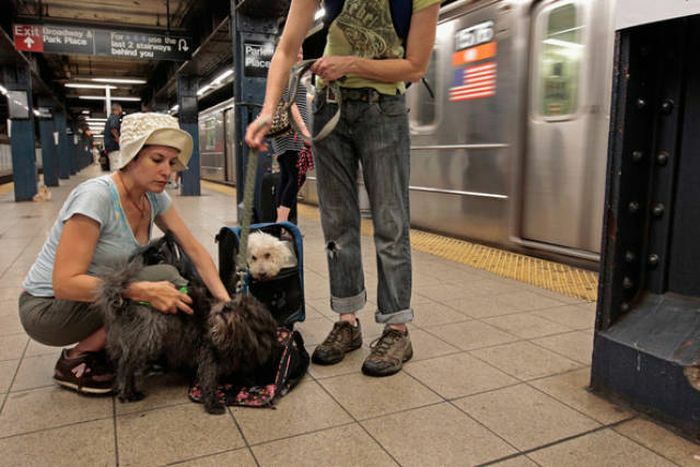 New York has millions of people they do not all get along and their pets will not either. 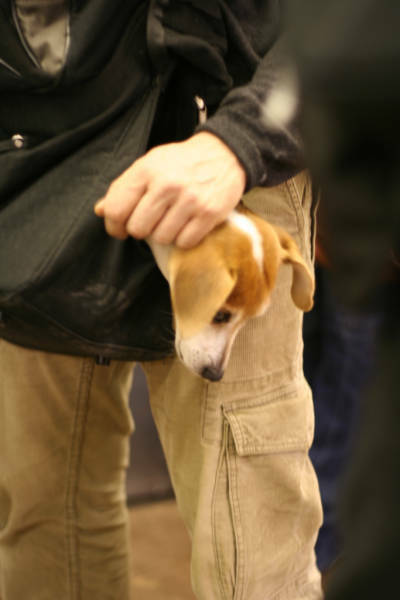 If containing or restraining your pet is too difficult then drive it around or leave it at home. 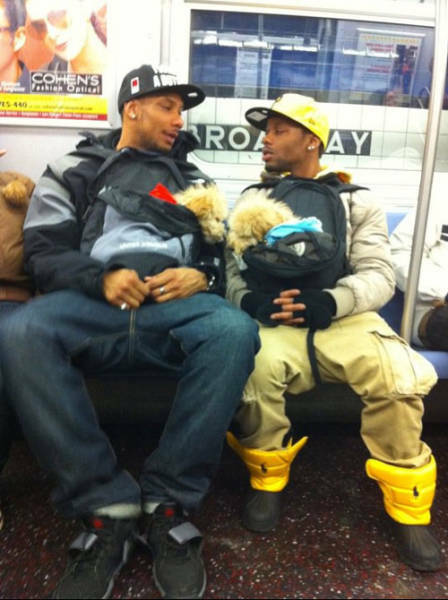 "they certainly aren't breaking them"
They are, though- that's just "stuffed in a purse", not enclosed in a container. 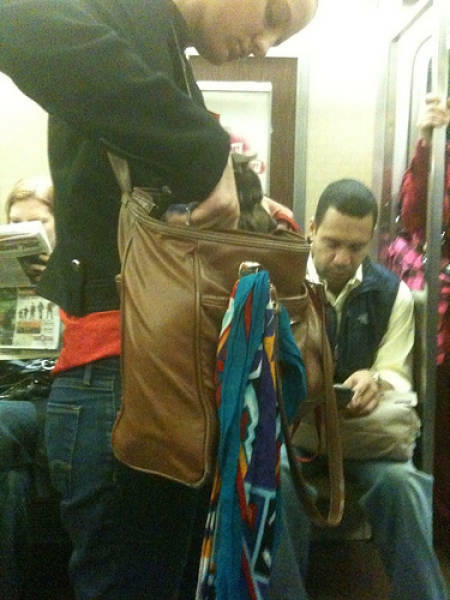 If someone brought a tarantula onboard half-wrapped in a napkin, or a rat sticking out of a coffee cup, I'm sure people would suddenly object. 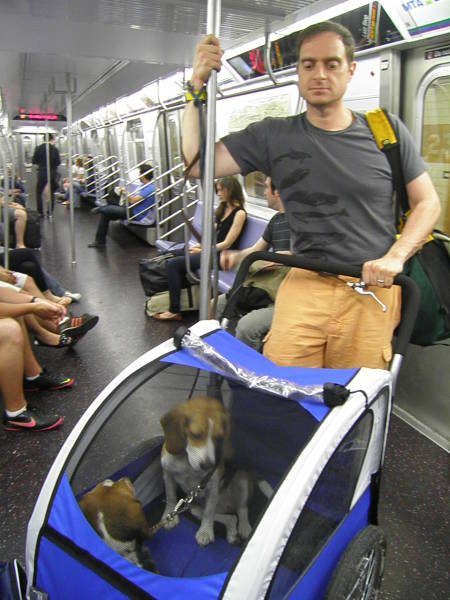 If you have a cat or small dog, there's no reason to not have a pet carrier.